Materialism is the philosophical system which emphasizes several points. Here is a short list of the most commonly held beliefs of the materialist. 1) The material universe is all there is. There is no spiritual life, no soul. Matter is primary. 2) God does not exist, only Man. Man is a god, and all "truth" emanates from humans. 3) Therefore, Man determines what is real and unreal. All reality ultimately is subjective. 4) The goal of humans is to create material utopias on earth as that is all there is. 5) Any type of spiritual realities are based on unseen energies or forces, which can be explained in material, not spiritual terms. 6) Materialism is connected to utilitarianism and functionalism, more isms which reduce humans to who is useful in a society (utiliarianism) and reduces all feelings, beliefs, thoughts as being located in sensory phenomenon, or learned behavior. For example, functionalism would dictate that morals are merely learned cultural norms and not related to anything spiritual, such as natural law. 7) Materialism leads to such other false ideas as intentionality, deconstructionism and post-deconstructionism and post-post modernism,etc. 8) Dialectic Materialism is Marxism, as defined by Marx himself based on Hegel, partly. This system of thought leads to Gramsci's ideas of hegemony. Perhaps one can see overlaps in the two "ism" of materialism and consumerism. Both remove the focus of the interior life of men and women. Both demand centering on the world and the flesh. Both deny the ultimate goal of humans, which is eternal life. Both ultimately kill the soul, not only of individuals but of nations, cultures, even religious communities. In some Catholic circles, there is confusion as to two terms ending in "ism". I want to clarify this as one can understand the predominant faults of two continents by examining this two seriously false manners of thinking. First of all, consumerism is the plague and greatest evil of American society, imo. Consumerism is a philosophy and now, a complete way of life, which emphasizes the constant buying of things. Consumerism most likely grew up in the middle classes, who confused the American dream of happiness with having things. The incessant preoccupation of buying and selling takes up the time of many families, including Catholic families. This obsession with having things, the latest trends, reveals a mind-set of concentrating on the here and now and forgetting that we are made for eternal life. Ironically, many members of the Catholic Church in America have fallen into the idolatry of things, bigger, better, newer. Part of the obsession with consumerism is the insistence on comfort. Few want to live without comfort. I think this really struck me many years ago when electric Venetian blinds, run with a remote, were invented. Such frivolities cause American Catholics to read the sales, collect coupons, buy things which are not necessary. Consumerism becomes a way of life, pushing people into shopping almost everyday, thinking they need things which they do not need. Shopping has become a form of entertainment, not something to be done for because one needs something. Consumerism connects to the American ideal of conformity. America has always been a conformist society, at least since the end of the 19th century, but before that time, de Tocqueville warned us all about conformity. A lady this last week told me how hard it was to keep up with the other women in her church group. She said that everyone talks about the newest thing or the latest vacation they have bought. She is a stay-at-home mom who thinks she has suffered from not having and not keeping up with her fellow Catholic sisters. I tried to encourage her in her good choices, but she feels pained by this lack of things and activity. Consumerism dulls the conscience as well, as this philosophy demands a focus on the exterior world, rather than the interior life. One reason I have loved living in Europe is the absence in many places of consumerism. The hot pursuit of things and comfort seem less, and the societal demand for conformism is definitely less. One can be more of an individual, even an eccentric, in Europe. I have a dear friend, who because of arthritis, wears slippers everywhere. She does not care what other people think. But, the evil of that continent is materialism-the topic of the next post. I have been noticing something in coming back to the States which I shall call a hardening of views and the very strong movement in the press against religion. If I had newspapers from late 2010 on certain issues, and compared those with what I am seeing now, I am sure the distinctions would be clear. The left is rabidly anti-Christian. One only has to get a glimpse of television commentaries to see this. The voice of the "socially conservative" has been severely marginalized. A neighbor asked me quietly if I was "socially conservative", which in this area, in this state, which allows ssm, means being against ssm. I said "yes" and she was obviously relieved. Again, social conservatives find themselves marginalized and even afraid to speak up concerning their views. She had been involved in politics in her youth, but has stepped down in old age. Now, the state of Iowa and the state of Illinois have both been liberal for a long time. I had to deal with ssm in RCIA classes which I was teaching in the Summer of 2010. Iowa was one of the first to pass the law allowing ssm. Some of my catechumens were confused. But, the overwhelming problem is the lack of discussion, the lack of even trying to find common ground with which to start a discussion. Gone are the rational arguments, or rational discourse. Part of that huge problem is that the last two generations of high school students or college students were not required to take logic. The second problem is one of those on the right. Too many want to avoid conflict totally and not engaged in discussions or even politics. They are too afraid of standing up for their opinions. Someone recently told me that he has to keep all his opinions to himself at work, or he would lose his jobs. This is the gagging of the right. I no longer can discuss anything and retreated into silence in discussions in Iowa. This is even true on Public Television in this state, which is so liberal, there is never any discussions revealing both sides of issues. Labels now define us, not rationality or natural law. Sadly, this is one of the signs of the last stages of persecution-complete marginalization. PS. There are many Catholics in this area who do not understand or even know that many, many Catholic universities have sued the government over the contraception and abortion mandate. Why they do not know, is that is not covered in the msm. Sorry, I had to take two postings off as I am having trouble with formatting on a weak wifi signal. Hopefully, I can put those on later. I brought this one up to this part of the list because of the season of Advent, 2013. This is a reminder of why we are preparing in Advent, not only for the Coming of Christ at Christmas, but for His Coming to us in death. I highly recommend reading some if not all the works of Bonaventure if you are attracted to Franciscan spirituality and perfection. He is a great theologian. One cannot praise his works enough. Unlike Thomas Aquinas, the Aristotelian, Bonaventure is a Platonist, and may appeal to that group of philosophers sympathetic to Plato today. He was made a cardinal and was present at the Council of Lyon. I can only look at his work briefly, as excellent as his many things are. and found him in ecstasy. 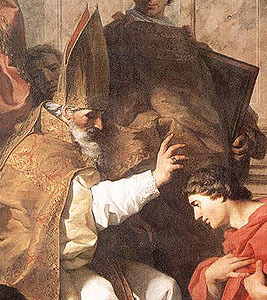 Thomas said, "Let us leave a saint to work for a saint". Out of all his writings, I am choosing a section on silence, the largest problem of the laity today. This is from Holiness of Life. want sin." I quote from the Book of Proverbs. from a heavily laden tree. acts as a preservative of the godly virtue justice. necessarily and quickly fall into evil ways. things." It is "a fire, a world of iniquity." or perpetrated by the tongue. How can the lay person in the world create silence? I suggest several things. the time. Third, simplify your life so that you are less busy. 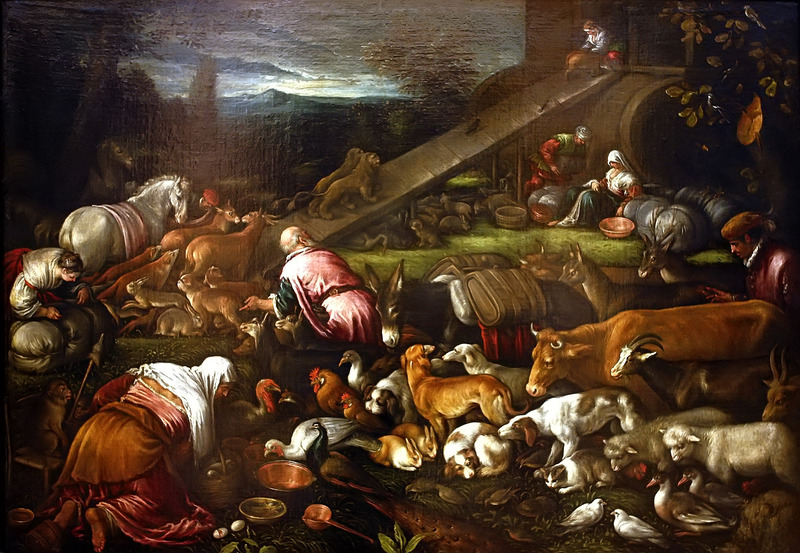 One does not need to do all the activities offered to one, even in a parish or community. If one cannot cultivate silence, one will be lost in the rush of chaos to come. 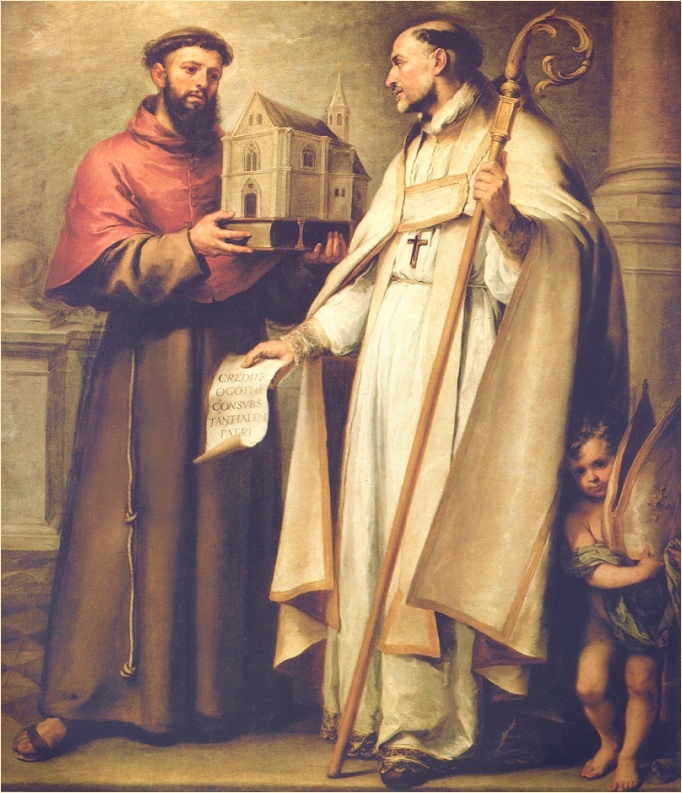 The second Franciscan Doctor of the Church to be considered is St. Bonaventure, the great theologian of the Franciscan Order. 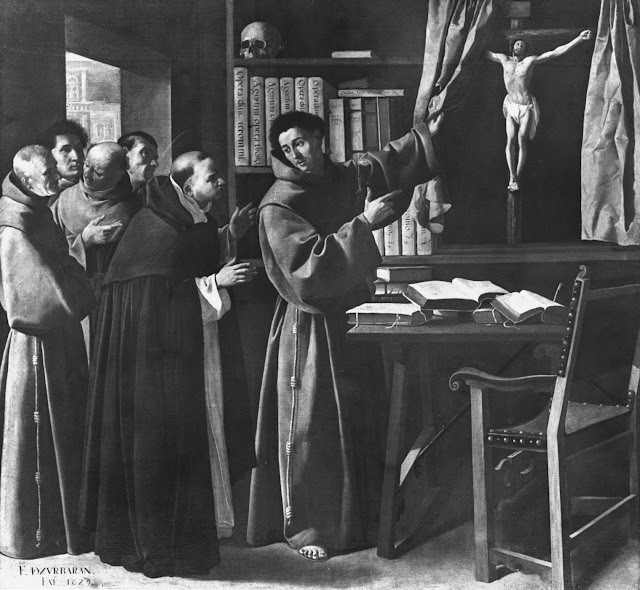 St. Bonaventure's writings are worth reading if anyone is interested in the development of "Franciscanism". I think it is fair to say that without Bonaventure, there would be no Franciscan Order, which to me, is the meaning of this painting. As this series is concentrating on spirituality and perfection, I shall choose just a few sections from St. Bonaventure. He is called the Seraphic Doctor and he died in 1274. He wrote quite a bit on the life of prayer and mysticism, so one is "spolied for choice." The language is that of the Bride and Bridegroom. Here is one small section and by now, those of you who are following this series, will recognize the movements of purification, illumination and unity. 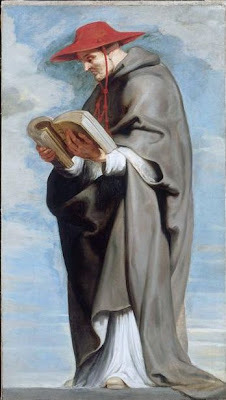 Bonaventure's language is similar to that of St. John of the Cross.